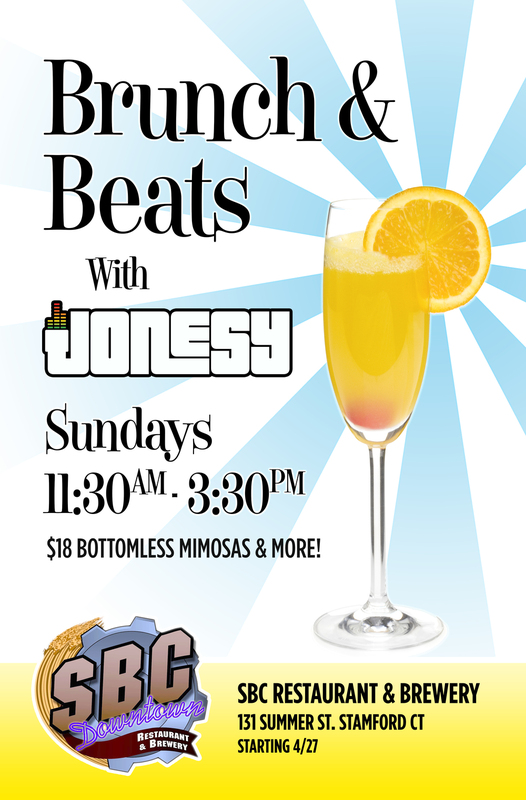 STARTING APRIL 27th, each and every SUNDAY, we bring the party to SBC Brewery for "BRUNCH & BEATS" with JONESY. 11:30am - 3:30pm. $18 BOTTOMLESS MIMOSAS. Delicious Food & Best Music in town! STAMFORD meet me there!